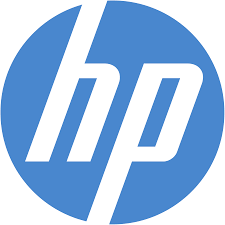 HP Sponsors the Ride for Jillian! | Industry Analysts, Inc.
HP is sponsoring the upcoming Ride for Jillian May 17 – 27 at the highest level! The Ride for Jillian is a fundraiser to raise money for one of the imaging industry’s most popular and widely supported charities, started by Ricoh’s George Gorman in honor of his daughter Jillian, who lost her battle with cancer at 17. The Patriots Pack is a group of industry executives who formed a charitable riding club in 2015 to raise money for charities. For the third straight year, The Pack will be riding for The Jillian Fund. On May 17, The Pack will mount their Harley Davidsons (and one BMW) at MWA headquarters in Scottsdale AZ and head across the southern US visiting dealers and picking up donations along the way, arriving in Washington DC Memorial Day weekend to ride in Rolling Thunder, the world’s biggest motorcycle rally held in honor of MIA, Veterans and Active Military. The Patriots Pack is trying to raise $100,000 for the Jillian Fund. Please click the link below to learn more about The Ride for Jillian! Click here to learn how you can donate, sponsor or contribute! This entry was posted in Uncategorized and tagged hp, The Jillian Fund, The Patriots Pack, The Ride for Jillian by andyslawetsky. Bookmark the permalink. Next → Next post: Image Matters Sponsors The Ride for Jillian!